Girl, calm down. It’s only week one. 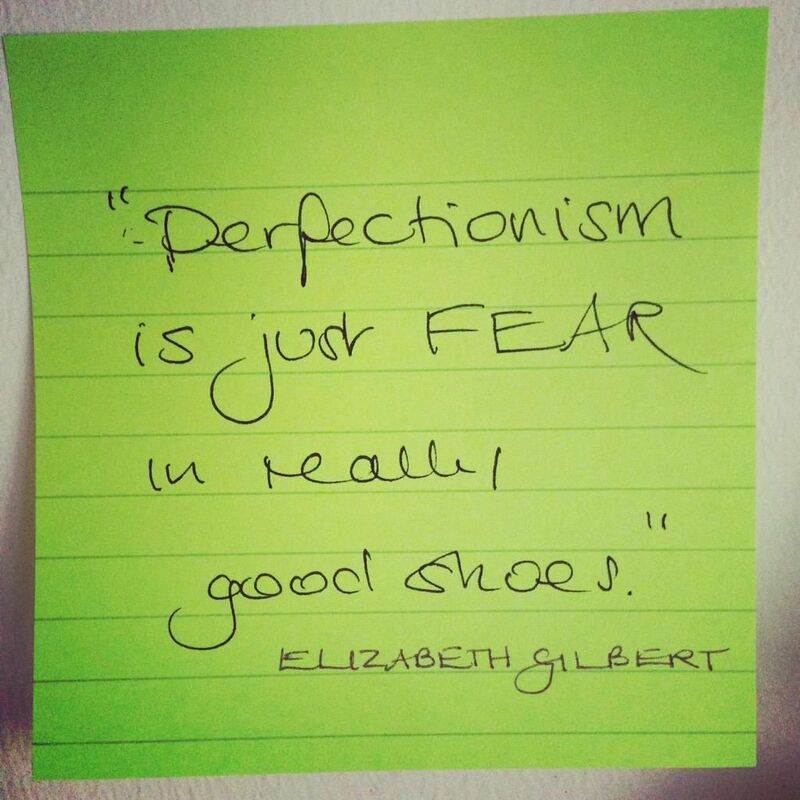 Shout out to all the perfectionist out there! You know, the ones that want to get everything right and will NOT STOP until things are the way we want it. The ones that are hardworkers and ready to do every task perfectly. So, I started my new job this week and it was awesome! I love it so far and I’m working on celebrating all of the goodness of it without allowing my anxiety to get me (see previous post for this explanation). Anyways, in this midst of all this change and working on my own stuff, I came to a realization about my perfectionism. I’ve been someone who has wanted to be well received. I touched on this last week, along with my need to do my work perfectly. This stems from not wanting anyone to find fault with me or in the things I work hard at, but this is such a hard task to live up to. No one is perfect and my work and who I am is ENOUGH, I have to remind myself constantly to give myself a break, so here’s your lovely reminder too: GIRL GIVE YOURSELF SOME GRACE! Fear lies in between our need to get everything right…and that’s not acceptable honestly. What are you so afraid of? Failure? Correction? I’m trying to live my life with way less fear and way more faith. I live in my head a lot, but I’m learning that every once in a while it’s okay to do something wrong or to make a mistake. No one’s gonna get everything right…your name isn’t Jesus, chile.